Depot medroxyprogesterone acetate injections are a form of hormonal contraception administered every 12 weeks for optimal effect. Despite being associated with variable changes in bleeding patterns and a delayed return to fertility when stopped, it is a preferred method of contraception for many people as it does not rely on daily adherence or require an insertion procedure. 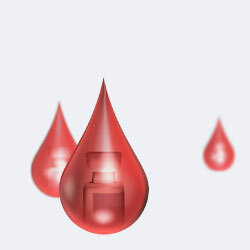 DMPA injections may also be a useful treatment for heavy menstrual bleeding or dysmenorrhoea, although its effects on bleeding are unpredictable (see “Altered bleeding patterns are common”). When should DMPA injections be avoided? Before beginning treatment, it is important to discuss the potential benefits and risks of DMPA injections and to emphasise that its effectiveness is dependent on adherence. Cervical cancer. Studies have found a slightly increased risk of cervical cancer in people using DMPA injections for five years or more, however, it is not clear if the association is causal or whether confounding factors are involved.1 As with breast cancer, the risk reduces after stopping treatment. Other conditions. DMPA injections are not associated with an increased risk of endometrial or ovarian cancers and evidence suggests they may actually have a protective effect.1, 6, 16 In addition, studies indicate a potentially reduced risk of colon cancer, acute episodes of pelvic inflammatory disease and ectopic pregnancy when using this form of contraception, however, further investigation is required to confirm these benefits. * Family Planning New Zealand recommends oral medroxyprogesterone acetate as the preferred second-line option. This is because there is concern that at high doses norethisterone is converted into oestrogenic compounds, which is not suitable for women who have a contraindication to oestrogen treatment. Faculty of Sexual and Reproductive Healthcare. FSRH clinical guidance: progestogen-only injectable contraception. 2014. Available from: http://www.fsrh.org/standards-and-guidance/documents/cec-ceu-guidance-injectables-dec-2014/ (Accessed Feb, 2019). Royal Australian and New Zealand College of Obstetricians and Gynaecologists (RANZCOG). 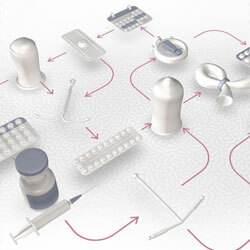 Long acting reversible contraception. Victoria, Australia: RANZCOG 2017. Available from: http://www.ranzcog.edu.au/college-statements-guidelines.html (Accessed Feb, 2019). Pfizer New Zealand. Data sheet. Depo-Provera. 2014. Available from: http://www.medsafe.govt.nz/profs/datasheet/d/Depoproverainj.pdf (Accessed Feb, 2019). Royal Australian and New Zealand College of Obstetricians and Gynaecologists (RANZCOG). Depot medroxyprogesterone acetate. Victoria, Australia: RANZCOG 2015. Available from: https://www.ranzcog.edu.au/college-statements-guidelines.html (Accessed Feb, 2019). Faculty of Sexual and Reproductive Healthcare. CEU clinical guidance: drug interactions with hormonal contraception. 2018. Available from: http://www.fsrh.org/standards-and-guidance/documents/ceu-clinical-guidance-drug-interactions-with-hormonal/ (Accessed Feb, 2019). Guidance for management of troublesome vaginal bleeding with progestogen-only long-acting reversible contraception (LARC). Family Planning Alliance Australia. 2019. Available from: https://www.fpnsw.org.au/health-information/contraception/guidance-management-troublesome-vaginal-bleeding-progestogen-only (Accessed Feb, 2019). Faculty of Sexual and Reproductive Healthcare. FSRH clinical guidance: problematic bleeding with hormonal contraception. 2015. Available from: http://www.fsrh.org/standards-and-guidance/documents/ceuguidanceproblematicbleedinghormonalcontraception/ (Accessed Feb, 2019). Said S, Omar K, Koetsawang S, et al. A multicentered phase III comparative clinical trial of depot-medroxyprogesterone acetate given three-monthly at doses of 100 mg or 150 mg: II. The comparison of bleeding patterns. World Health Organization. Task Force on Long-Acting Systemic Agents for Fertility Regulation Special Programme of Research, Development and Research Training in Human Reproduction. Contraception 1987;35:591–610. Depo-Provera 150mg/ml Injection. SmPC. Electronic Medicines Compendium (eMC). 2018. Available from: https://www.medicines.org.uk/emc/product/6721/smpc (Accessed Feb, 2019). Faculty of Sexual and Reproductive Healthcare. CEU statement: weight and contraception. 2017. Available from: http://www.fsrh.org/standards-and-guidance/documents/ceu-statement-weight-and-contraception-april-2017/ (Accessed Feb, 2019). Lieberman A, Curtis L. In defense of progesterone: a review of the literature. Altern Ther Health Med 2017;23:24–32.